We manufacture all of our body armor in house from the ground up. All armor is manufactured to order and payments are processed at the time of checkout. 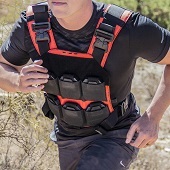 As a result, we may have production lead times posted on applicable products, such as body armor. Production lead times are updated with our best estimate based on our production schedule and order volume. In some cases manufacturing may take a little longer than expected - in this case we'll be sure to provide updates along the way and notate accordingly. Due to the level of demand and production lead time, all armor is manufactured to order and payment will process at the time of checkout. Know that we make every effort to ship as quickly as possible. We will, however, never sacrifice the quality of our product and integrity of our business by rushing sub-par products out the door. Good things take time to do right, and there are no exceptions with our product. If the product is in stock and has no production lead time posted then we typically ship with 3-5 business days. This may vary with holidays, sales, and changing the political climate. *All items in an order will be shipped together. This means if you have 4 items in your order, and one of those items has a 3 week lead time, all 4 items will ship together once the 3 week lead time has been met. If you would like to inquire about the status of your order don't hesitate to get in touch. Email Support@AR500Armor.com, or give us a call at 602-501-9607. Please include your order number, or relevant email/shipping address used at the time of purchase. This information will help us expedite your request. Most orders will ship FedEx or UPS with tracking information, which will also be provided via e-mail as soon as your order leaves our warehouse. Some light weight items may ship using different FedEx services, and will also include tracking information. Alternate shipping methods are available by request. Once shipped, transit times vary between 2-5 business days depending on location. We ship all orders from our manufacturing facility in Phoenix, Arizona. We want you to be happy with your purchase. Please do let us know if you aren't satisfied with your order. We're here to provide a quality product at an affordable price point and want to meet your expectations. At AR500 Armor®, 100% customer satisfaction is always our goal. We understand that issues with orders may arise from time to time that needs to be addressed. If you think there may be a defect with any of the products you purchased from us, please contact us for store credit or an exchange of the product. AR500 Armor® will accept requests for store credit or exchanges on all products, excluding medical and level IV body armor, within 30 days of delivery. Refunds will not be issued for products that were delivered as described on our website. Once the request is submitted, a customer service agent will review the request and send a return label via email. If you prefer a return label be mailed to you, please let us know in advance. Include the return information sheet inside your package and follow the return instructions page which will be provided with the return label. After the product arrives at AR500 Armor®, it will be inspected, and your request will be processed. You will receive your store credit Within 3-5 business days of arrival at our facility, you will either receive your store credit or the exchange items will ship out as soon as their posted lead times, if any, will allow. Sales of promotional, seasonal, discontinued, and clearance items, as well as e-gift cards are all final and cannot be returned or exchanged. 1. Go the “Submit a Return” form on our Shipping and Returns page of our website to submit your claim. 2. Provide your name, email, order number, and the reason for your return. 3. A customer service agent will review your claim and send you a confirmation email stating it was received along with a digital copy of a return label and instructions. The cost of return shipping will be deducted from the refund amount. 4. Upon arrival and inspection of the product, within 3-5 business days, you will either be issued a refund, or an exchange of product will be shipped out. Note: If a claim was not submitted via web, email, or by phone, the return will not be valid for store credit or exchange. Please make sure to contact us in advance to ensure the most timely and appropriate response. *Would you like to Return your order or Exchange it for something else? Return *Will this be a Complete Exchange/Return or a Partial Exchange/Return?